Japan is steeped in legend and myth, perhaps the greatest of which is the popular misconception that the country is simply too expensive to visit. The truth is that flights to Japan are cheaper than they've ever been, accommodation can be great value, while the warm hospitality which awaits every visitor costs nothing at all. 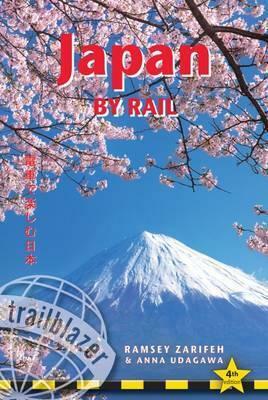 The real secret to travelling around the country on a budget, however, is the Japan Rail Pass. Use this comprehensive guide in conjunction with a rail pass to get the most out of a trip to Japan. Practical information planning your trip; when to go; suggested itineraries; what to take; festivals and events City guides and maps where to stay, where to eat, what to see in 30 towns and cities; historical and cultural background Kilometre-by-kilometre route guides covering train journeys from the coast into the mountains, from temple retreat to sprawling metropolis; 33 route maps Railway timetables and frequency charts Bullet trains and main routes Customs, etiquette, Japanese words and phrases with kanji This new edition also now includes: kanji/hiragana/katakana for all place names mentioned in the book so readers can point to the text when asking Japanese speakers for directions. The extension of the shinkansen route from Nagano to Kanazawa. This is now called the Hokuriku shinkansen. Additional side trips from Tokyo including to Kawaguchi-ko for magnificent views of Mt Fuji, and to Mito for Kairakuen, the only one of the three great landscape gardens in Japan not currently mentioned in the book. Expanded coverage of Nikko, Nagasaki, the side trip to Aso san, Beppu, and many places in the Kansai region"